In my role as a Distribution Corporate Account Manager for Molex/Woodhead, I am tasked with approving requests for funding for various co-marketing programs with our distributors. We are often asked to help fund counter days, trade shows, open houses, spiffs and the like. These co-op requests can get expensive. In most cases, we readily provide funding when asked, particularly if it is a customer facing event. If we can show our products at a distributor event where many customers are attending, then usually we welcome the opportunity to provide $$$ and participate. The “reach” of the event. What is the cost of the event per customer and how does that compare to the cost of a traditional sales call? Are we getting a better value? Predicted incremental revenue and profit expected from the event. Are we going to win business that will justify the overall cost of sponsoring the event? But should the value of participating in these events be evaluated only quantitatively? I think not. We are being asked to participate because the sponsoring distributor thought highly enough of the value of our products and message, that they want us to be in front of their customers. We are partners with our distributors. 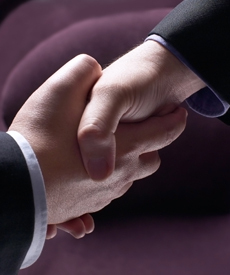 A vast majority of our business is sold through our partners. We are in this fight together. So getting invited to distributors’ events is an honor. But in these challenging economic times, we have to get something from the funding we provide. I think that getting qualitative value out of the distributor event, is in part, up to us. It is incumbent on the Molex team to show up to the distributor event on time, to have a professional looking display, and to have products to show and collateral available in which the distributor’s customers will be interested. We cannot just grab a bunch of samples and a few catalogs from the trunk of the car, spread them out on the table and say we are good. In turn, we expect that the hosting distributor will deliver customers who actually want to be there for something other than a free lunch. We expect that many if not all of the distributors’ salespeople will stop by our stand to see what’s new and talk to us about customer and market opportunities. We expect that distribution management will seek our feedback to find out if we are satisfied with the event, and what could make it better next time. This is the qualitative value that we get from participating. We understand that to be a good distributor partner, we need to participate. We want to be asked to participate and to help develop the leads that we need to grow. We need to utilize our time at these events to educate the distributor’s salespeople on why they should push our products. We want to be invited back. But going forward, I think we should do a better job of trying to understand the ROI – not just for Molex, but for our distributor partners as well. How many quality leads did we generate? How many orders did we write? How many buddy calls were set up? Like I said earlier, we are in this fight together and CO-OPeration will be key to our success.